The Nerd Stalker gang was happy to be a part of the sixth Japan Night produced by btrax, Inc. 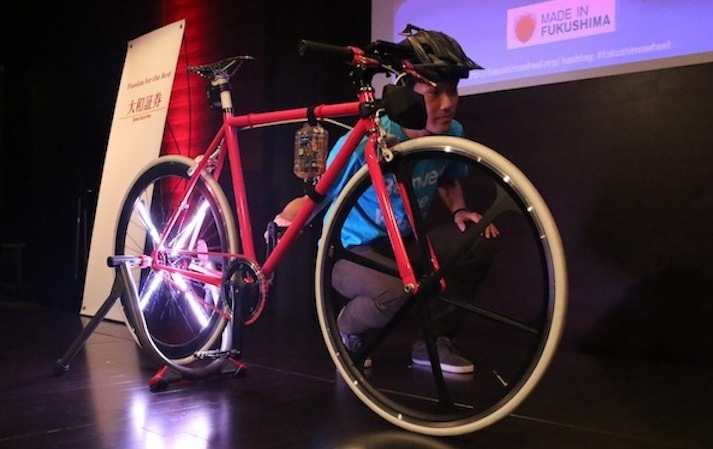 This event featured six startups from all aspects tech - Wearable tech(Ring), language tech(Cooori), learning tech(CODEPREP), battery savings(Ojisan), HW Technology (FOURBEAT) and bicycle technology(Fukushima Wheel). Check out Greg's takes on all the presenters and some pics from the Twitterverse. 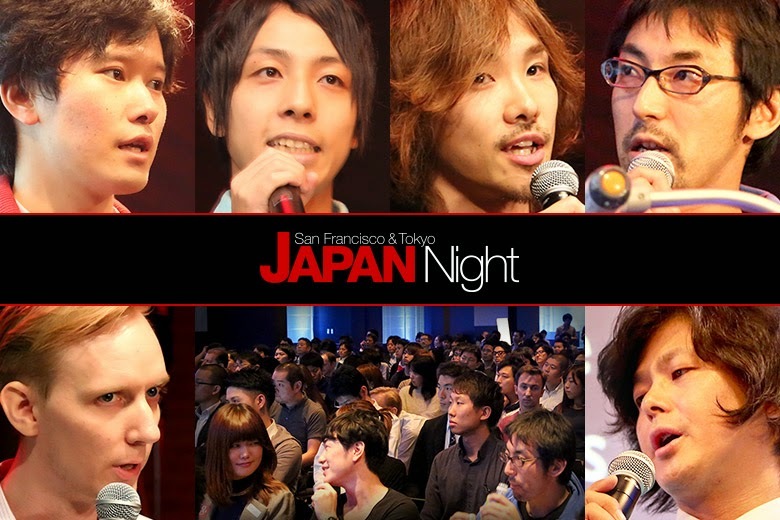 Here are some pics from the night for the SF Japan Night Twitterverse. Here are my takes on each of the presenters. 1st, 2nd and 3rd place were determined by votes from the Panel of Judges, Google+ and the local audience. The demo by Ring was a let down actually. I have missed the previous demos of this technology and was really excited to see it. Unfortunately, the live demo didn't work. The promise of this technology is just great. Being able to move a finger to activate your mobile device is just brilliant. Most wireless connected devices will go through these hiccups. I worked on HW and maturing it is the challenge. I think they will be fine. Bringing the gaming experience to the mobile device is what has been missing. I thought the demo was just fun. Hitting the Fourbeat buttons was like playing "Whack-a-Mole" - a real test of coordination and speed. For example, if you are running a race on your device then hitting the button faster will make your runner go faster. Cooori's demo was a little more abstract but Dr. Jensson has taken his own experience of learning a language and added some Artificial Intelligence from your learning behavior to tailor a customized learning experience. They won night's competition. Again, a hard one to demo but the promise of this product is to gamify battery life. Now, do we really need to gamify battery usage? From my standpoint, it is digital. You either want great battery life or you don't. Right? One interesting question that came up during the demo was "Won't battery life suffer if you are using the app?" Their response was "You can turn it off". I think Ojisan better work on "gaming" the pitch a little more. (3rd Place) CODEPREP by Givery, Inc.
Another take on learning to code for the masses. (3rd Place) FUKUSHIMA Wheel by Eyes, JAPAN Co, Ltd. This was actually my favorite of the night. I saw the potential for even Google to use it to make the Google Map service more accurate. The monetization model was a little shaky with putting Advertisements on the wheel. But, it was creative and you got to give them points on that. I think they should sell the cool LEDs for bicycle wheels says one panel judge. I agree.